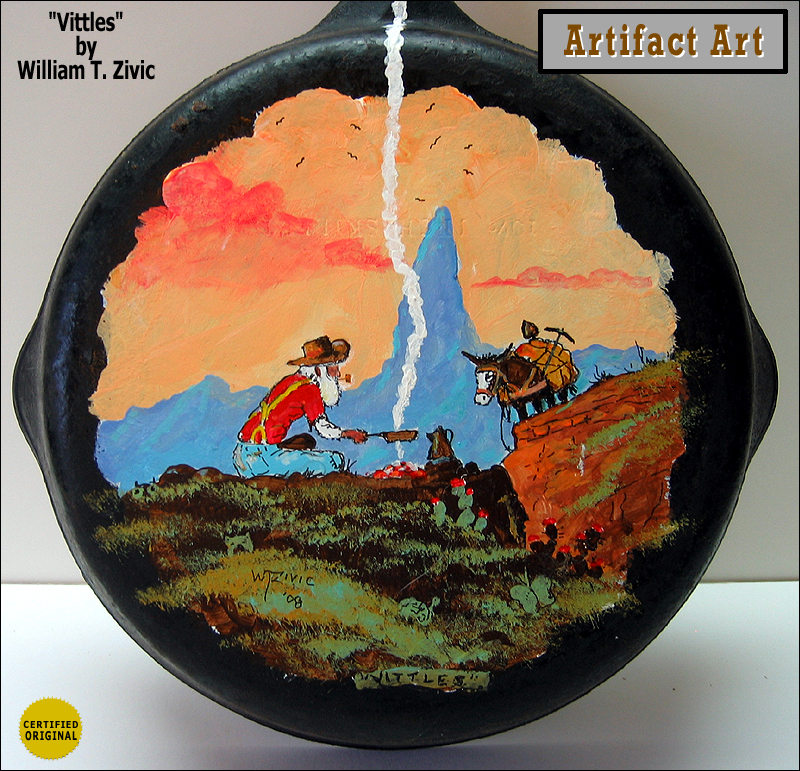 In this Artifact Art piece, an old Prospector cooks his meal over an open fire. Buzzards circle back around of Weaver`s Needle and the Lost Dutchman Mine in the Superstition Mountains of Arizona. 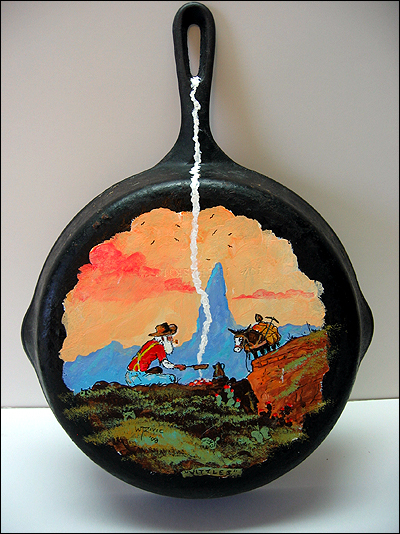 Original acrylic on cast iron skillet. 11 inches diameter and 15 inches tall. Nice kitchen art.